We are coming to CENLA! 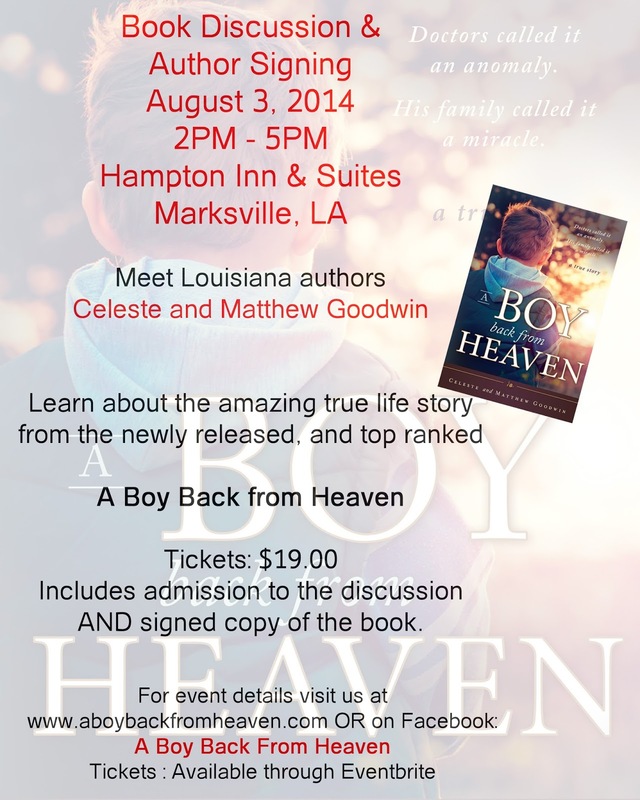 Join us in Marksville, LA for an afternoon of inspiration. 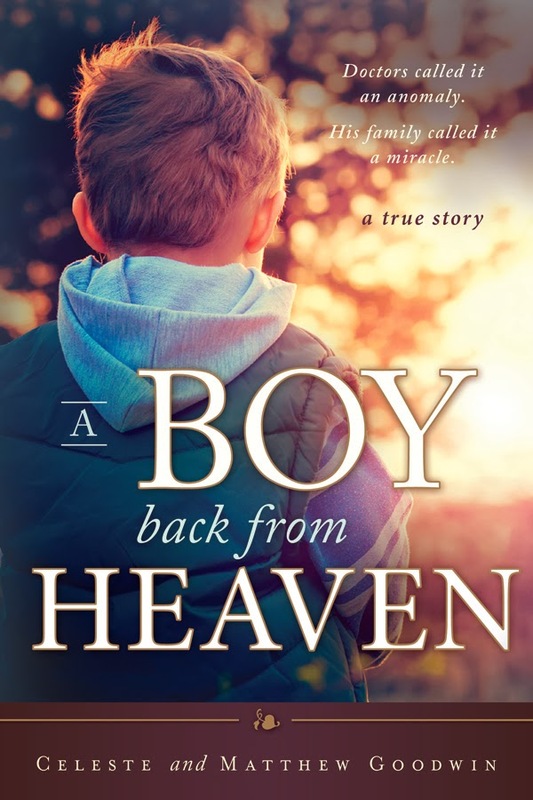 The reader event starts at 2PM and will include a personal discussion of the events from A Boy Back from Heaven. It will be followed by a book signing. Each ticket will include admission to the discussion AND a signed copy of the book. We are excited to meet readers from Central Louisiana and share this powerful story. All tickets are advance purchase only. No tickets will be sold at the door. Without faith we have nothing! boy who walked the path to heaven and taught each of us the amazing love of God. We cannot know the unbearable journeys that are set before us, but we can trust that God will see us through them.